These muffins have all the flavour of hot cross buns without the effort of rising & kneading the dough (and without the waiting for the buns to be ready). Cinnamon, mixed spice & ground cloves add plenty of spice. I have used currants but you can use raisins or sultanas or even chocolate chips if you must. 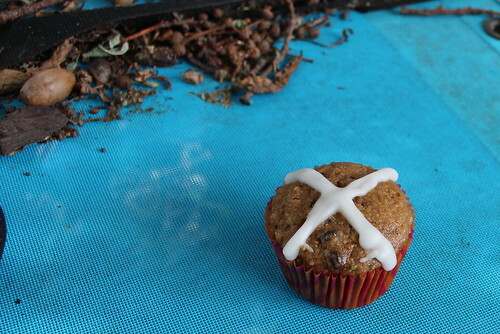 Home-made hot cross buns are super delicious and quite easy to make, with or without a bread machine. To make these buns by hand, use active yeast instead of Surebake yeast. Soften yeast in warmed milk, then mix in half the flour. Cover and set aside until the mixture has doubled. Add the remaining ingredients and knead until a smooth elastic dough. Then proceed to rolling as detailed below. As the weather cools, use the oven to help rise the dough – place the scrolls, loosely covered with a clean tea-towel, in the oven at 30ºC. Remove scrolls from oven before turning the temperature up to cook the scrolls. Icing the scrolls is optional. 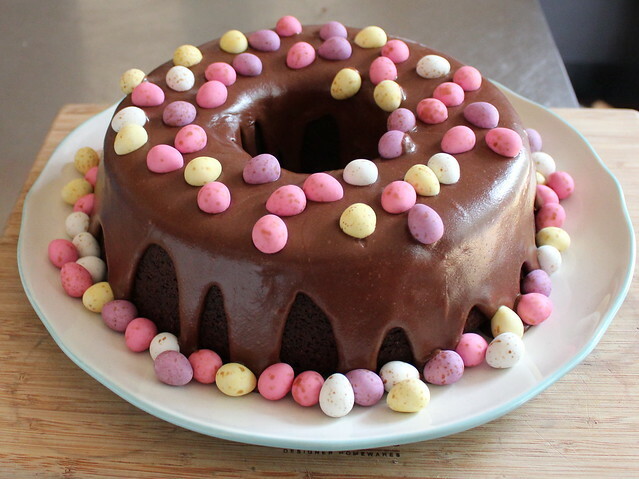 In between Chocolate & Cranberry Easter Scrolls and Easter Buns (Hot Cross Buns), I decided a chocolate cake was in order. 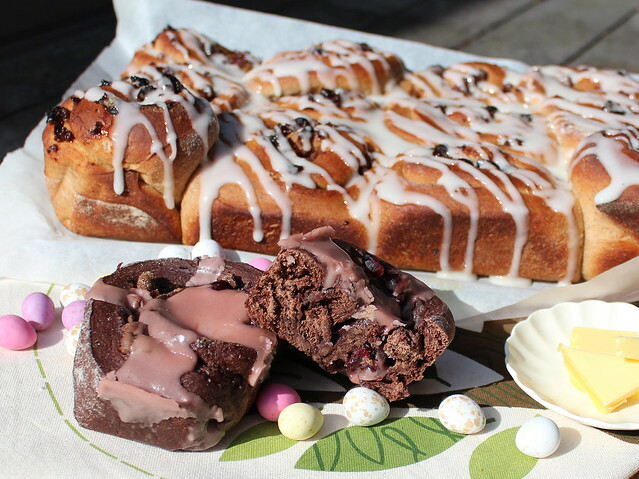 I have used spices typical to Easter baking – cinnamon, ginger & cloves and put them into a cake with chocolate, a little wholemeal flour, some apple purée and yoghurt. 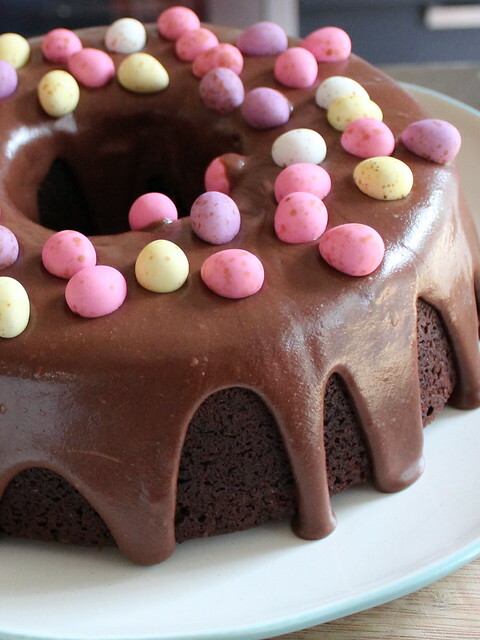 The result is this cake – a deliciously moist chocolate cake that is very easy to make.